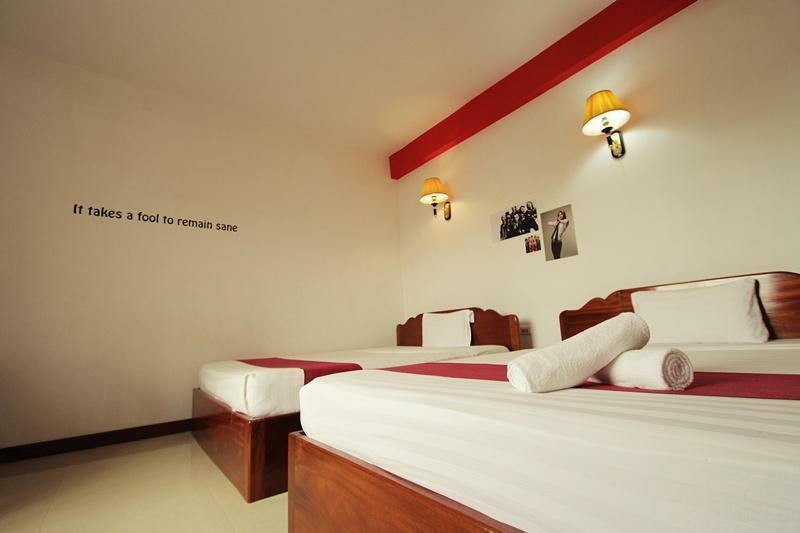 Located in the popular Wat Bo area this European managed Hotel/Guesthouse offers attractive rooms with ensuite bathrooms, hot water, A/C or fan and cable TV. Most importantly the western style beds provide a good night's sleep, essential after a long day's sightseeing or partying. An upmarket Guesthouse with a tropical garden. The service and presentation are better than the nearby places Lonely Planet July 2010. We are situated only 10minutes away from the bus station, and very well connected to the airport. Once crossed the river next to the Royal Residence,the building is situated just off Wat Bo Road near The new Apsara Market.